schwooo! by stampinangie: Mr. & Mrs. 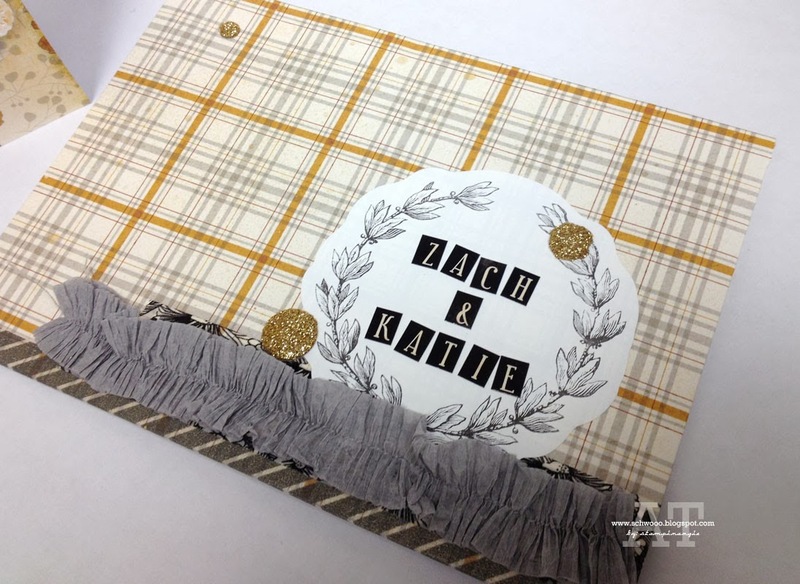 I haven't done a lot of paper crafting the past two weeks with school craziness, but I did make this wedding card and envelope for an awesome teacher (now teacher trainer) I work with, Katie Q, now Mrs. Fleck. This is sized a little larger at 5" x 7" so plenty of staff members would have space to sign. 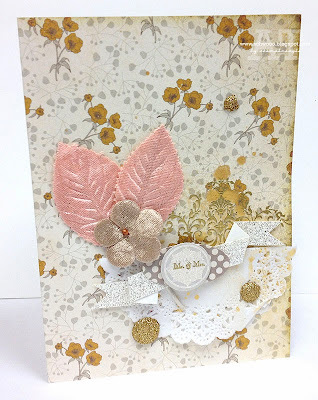 I used lots of goodies, old and new, from my stash on this one. My fab sister-in-law gave me an envelope maker for my birthday back in July, so I, ummm, finally broke it open to make this coordinating envelope. I'll be using it ALL the time now! It's so easy! I used my (old) Basic Grey magnets for the closure and it turned out so nicely! Both of your projects are stunning...excellent work. Fall break? You guys actually have a week off? That's nice!